London: The launch of Wisden used to be the sign that the season is around the corner. Now it has become a welcome reminder that it has already started. Either way, the advent of Wisden is a source of delight for cricket lovers and the 2019 edition, edited once again by Lawrence Booth, does not disappoint. Writing for Wisden is a more intimidating prospect than the daily grind. The words of wisdom that adorn our back pages or websites each day do not last for long but articles in Wisden have a hint of immortality. They may lie dormant on dusty shelves inside the yellow cover for years only for the relevant edition to be plucked out as a venerable historical source. Or so the editor hopes. Booth delves into the issues of the day fearlessly. He is elegantly forthright about The Hundred and Sandpapergate about which he notes “Australia had been undone by the hubris-nemesis one-two, which has kept playwrights in business since Ancient Greece”. He laments the devastating effects of gambling — and the proliferation of gambling ads on TV — on vulnerable cricketers and hails the departure of Alastair Cook from international cricket on the assumption that England’s greatest runscorer in Test cricket will not be persuaded to answer an emergency summons against Australia at the Oval in September with the Ashes in the balance. It is hard to quibble with his five Cricketers of the Year, an honour that can only be bestowed once. Jos Buttler, Sam Curran and Rory Burns all made significant advances in 2018. Two are as icy-eyed as they come: Buttler resurfaced as a Test cricketer, Curran became one with spectacular success at the outset. Meanwhile Burns led Surrey to the Championship, scoring more than enough runs to launch his own Test career without spectacular success so far. 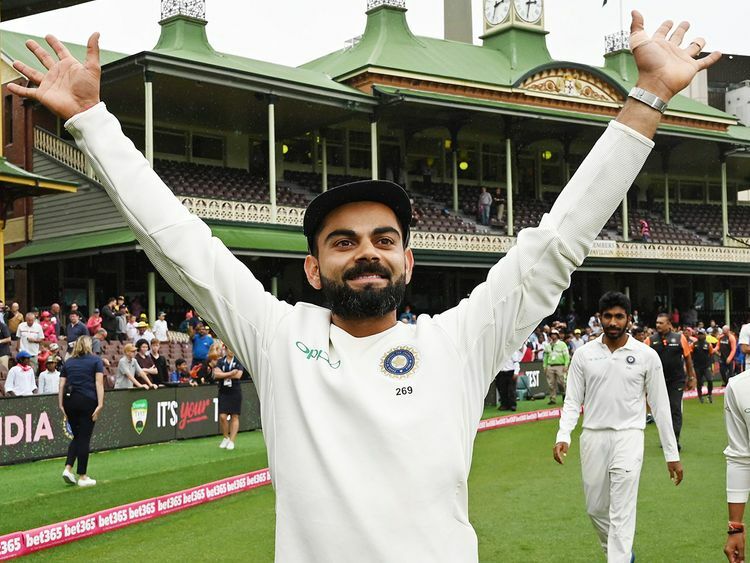 Virat Kohli batted superbly in the 2018 Test series and everywhere else and he is also selected as the Leading Male Cricketer in the world for the third time in a row. Tammy Beaumont, England’s opening batsman, is also honoured. However, Booth saves his sharpest words for the England and Wales Cricket Board and their machinations to introduce a new competition. “The Hundred hung over the English game like the sword of Damocles, suspended only by the conviction of a suited few. Some preferred a modern analogy: this was cricket’s Brexit, an unnecessary gamble that had overshadowed all else, gone over budget and would end in tears. But the analogy was imperfect: where Brexit had plenty of advocates, it was difficult to find anyone beyond a small group inside the ECB’s offices who believed that cricket — its fixture list already unfathomable — needed a fourth format. Why so many others have not spoken out in a similar manner is another matter. The players, understandably, spy a considerable spurt in income so do the county chief executives while the usual pundits, whose employers have forked out a remarkable sum of money to cover the new competition, often appear wary of being too critical. The rest of us look on in grim bewilderment at the prospect of two short-form tournaments taking over the three prime cricketing months of the summer.